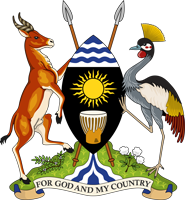 Uganda is bordered by Kenya in the east, South Sudan in the north, the Democratic Republic of Congo in the west, Rwanda and Tanzania in the south. Uganda lies astride the Equator, and as such enjoys one of the best climatic conditions in Africa. Uganda is an extremely resource rich country with great potential to develop into Africa’s top investment destination in Free Zones. With a predictable investment environment, a fully liberalised economy, good market access, a strong natural resource base and a commitment to the private sector by the government, the establishment of Free Zones will ultimately enhance economic growth and industrial development of the Country. Uganda was among the first Sub-Saharan African countries to embark on liberalisation and pro-market policies in the late 1980s. Many strides have been taken in growing its economy. International Monetary Fund (IMF) has predicted that Uganda’s economy will expand by 5.8 percent in the 2015/16 (July-June) fiscal year from an estimated 5.3 percent in the previous year boosted by public investments. The Ugandan government continues to emphasize strengthening the country’s road, rail, water, energy, and communications infrastructure. In FY 2013/14, the Ugandan Government invested nearly $1 billion in road construction and improvement; this will remain a priority in FY 2014/15 and is believed to maintain an upward trajectory into the near future. When the National Resistance Movement (NRM), led by Yoweri Kaguta Museveni, took power in 1986, the government started to focus on reconstructing the economy through pro-market reforms and increasing the legitimacy of public institutions through political liberalisation.